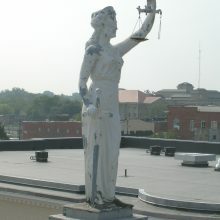 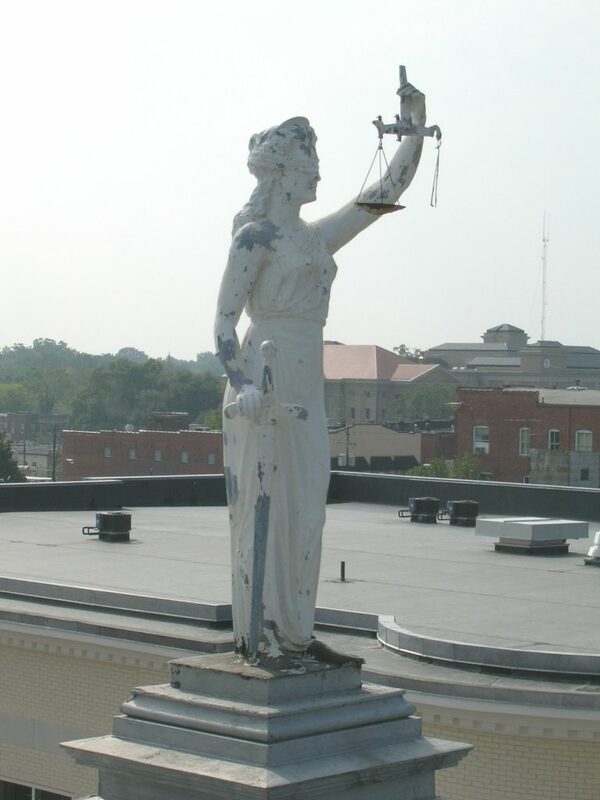 Atop the City Hall building in Goldsboro, North Carolina sit Liberty and Justice. 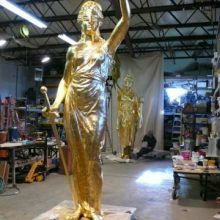 The two figures were fabricated from zinc sheet using the repoussé and chasing methods developed by the W. H. Mullins Co. At the turn of the century. 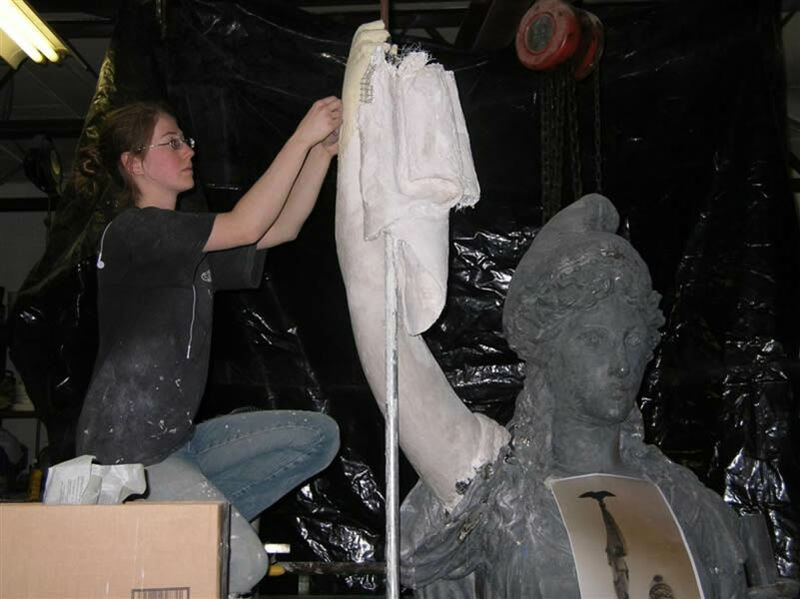 In July 2006, we were contracted to carry out a conditions assessment which included historic documentation, review of site conditions, and detailed observations of the materials and conditions of the sculptures. 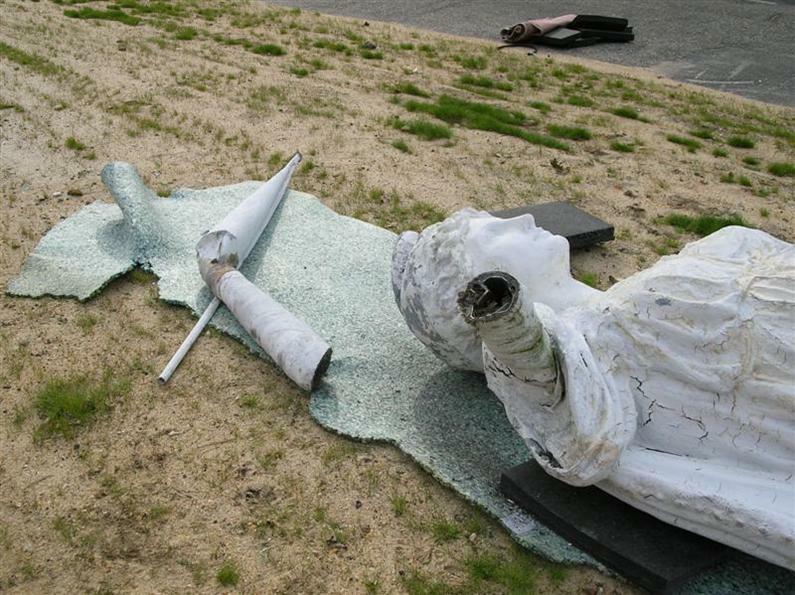 Missing and damaged elements were identified and their original configuration was researched. 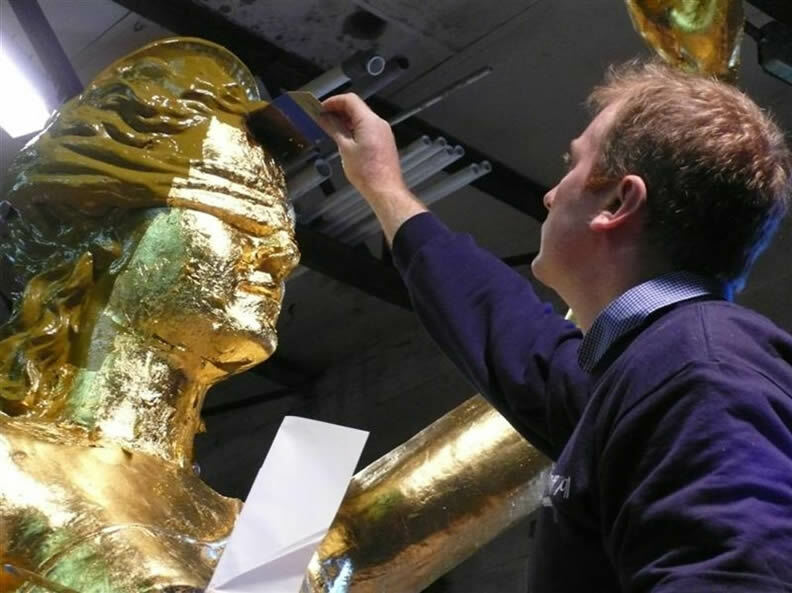 Through microscopic examination of paint samples, conservators determined that the sculptures were originally gilded. 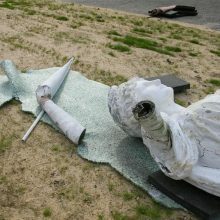 We generated a conditions assessment report which outlined conditions of the sculptures and the likely causes for their deterioration. 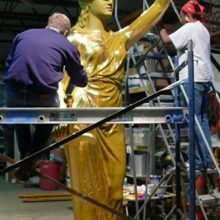 The report provided treatment recommendations for the preservation and stabilization of the sculptures and included a cost estimate for the proposed work. 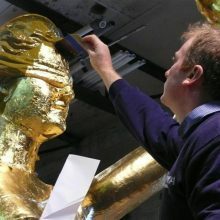 We were then contracted to carry out conservation treatment of the statuary. 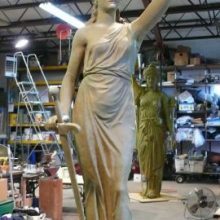 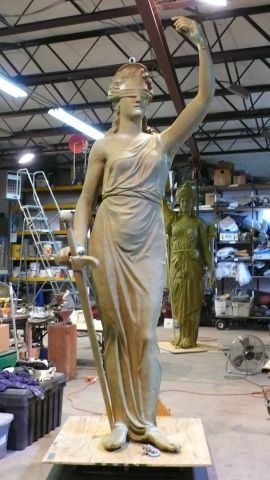 The sculptures were rigged and removed from their perches, cleaned, and paint and loose corrosion removed by waterjetting. 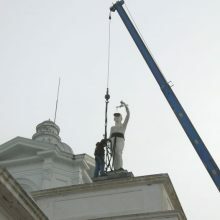 Structural supports were repaired and/or replaced, as necessary. 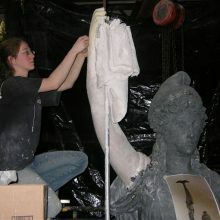 Missing elements were modeled in clay and fabricated using original repoussé methods and the zinc skin was extensively repaired where damaged. 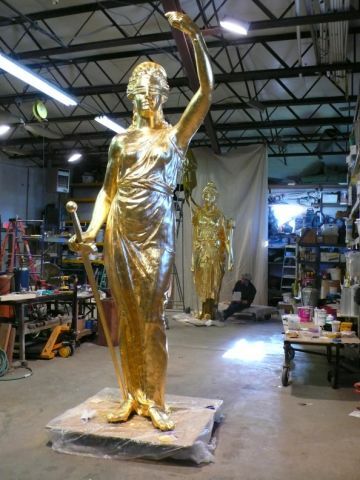 After repairs were completed, sculptures were coated with a high performance primer system and gilded with 23. 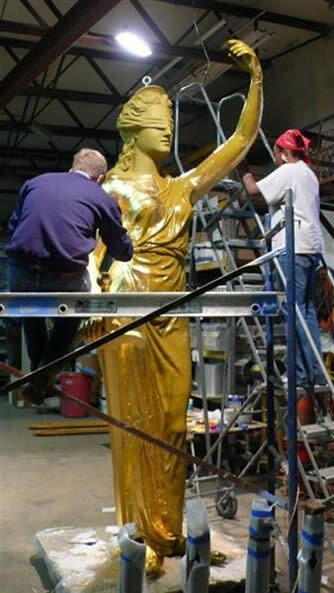 75 K German gold. 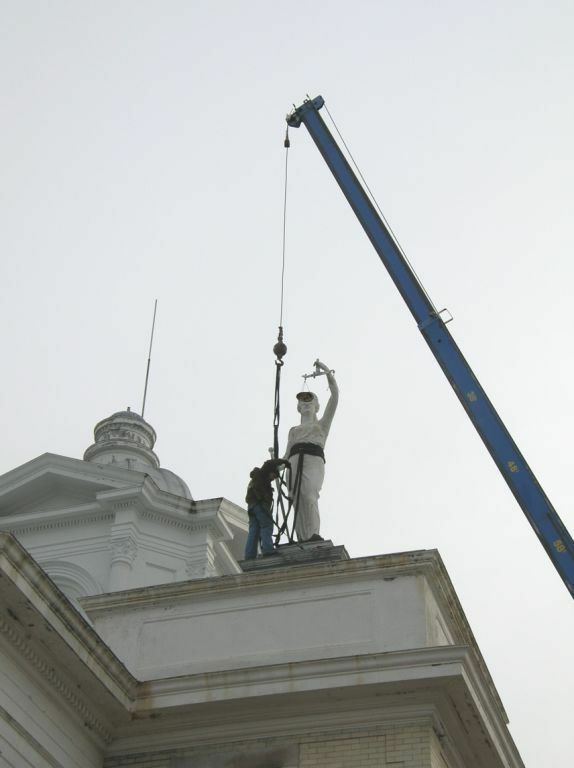 They were reinstalled in their original locations atop the roof of the restored Goldsboro City Hall in 2007.